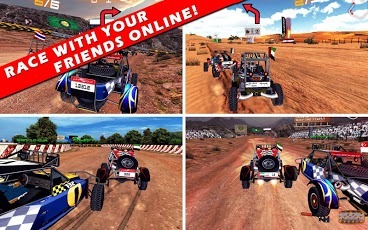 Just when you thought there can’t be any awesome off-road racing game, we bring you BADAYER RACING!!! Drive your own custom made cars. 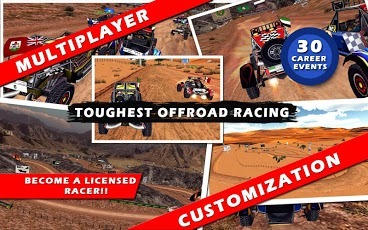 Play the toughest off-road racing game on your device, where boost is your only friend. Bring your mad skills to the game and get beaten before you learn how to beat the game. The name of the game is Boost Boost Boost!!! The only game that won’t give up but gets tougher as you get better. Easy wont be easy anymore!!! Race against other AI drivers and speed away in different tracks. Work your way on a career mode against tough opponents to become a pro. Win championship, unlock cars, while acting as an undercover agent and helping a champion racer in a story. Play against your real friends online and show them who is the boss. Challenge them to fast and furious driving events. Real rally speed experience away from asphalt. Mod your motor ride to your style and your own dream number plates. Nitro and turbo charged cars. 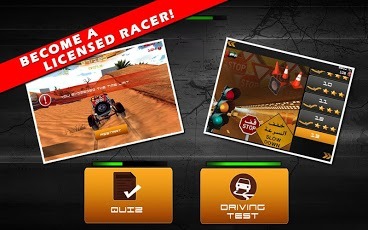 Become a licensed racer and earn double the cash rewards. But be careful, too many fines can revoke your license. Taking driving tests in a realistic simulated environment. Create a profile and play it on iPhone or iPad or Android devices with your progress synced across devices. Very popular feature and must have nowadays. See where you stand in player ranking worldwide. Show off your in-game swag at anytime of the game by a simple click of a button. Play the game in different languages, English and Arabic, more to come. Completely Free and also it is Ads Free. Thank you from Badayer Racing Team.